Based at the Tansghart Woodwork Centre, Abdellatif is 25-years-old and was born in nearby Tassa Ouirgane. He trained with woodwork business partner, David Bult, in Casablanca. The duo formed in 2014, after Abdellatif and David connected during a meeting with the High Atlas Foundation in Ouirgane. 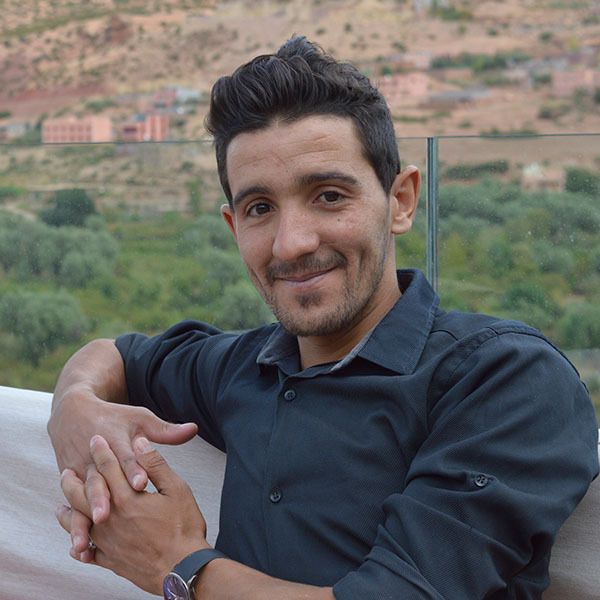 Educated in Tahanout, just outside of Marrakech, Abdellatif was keen to learn the carpentry trade back in his home surroundings of the Atlas Mountains. Thanks to his dedication and ambition to learn and take on more responsibility, Abdellatif now supervises eight trainees at the Tansghart Woodwork Centre, sharing his highly skilled artisanal woodworking techniques.